Those over a certain age will recognise these figures – they’re from the Airfix 1st version 1-76 scale British Commandos set. In the picture above the two guys below have been given new heads with helmets. 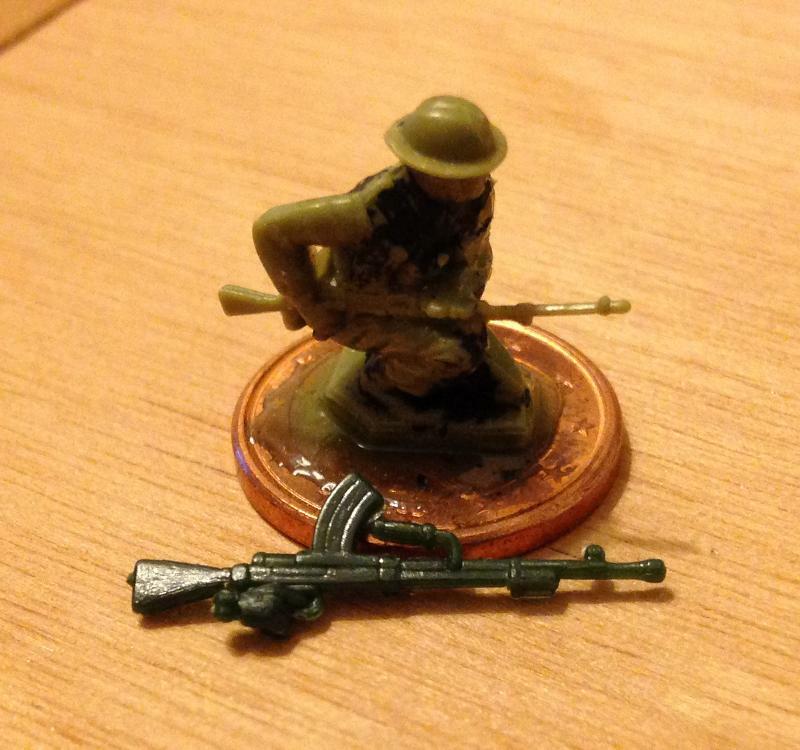 The radio operator has been given a beret made from epoxy. 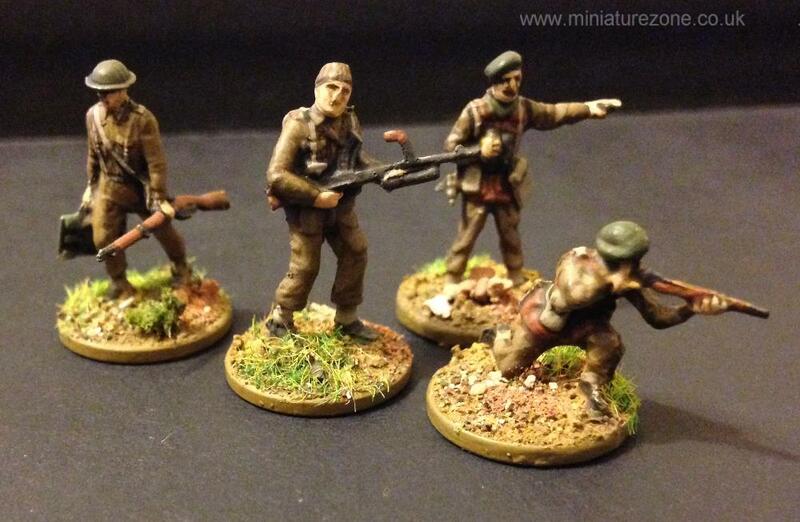 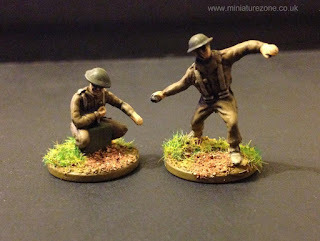 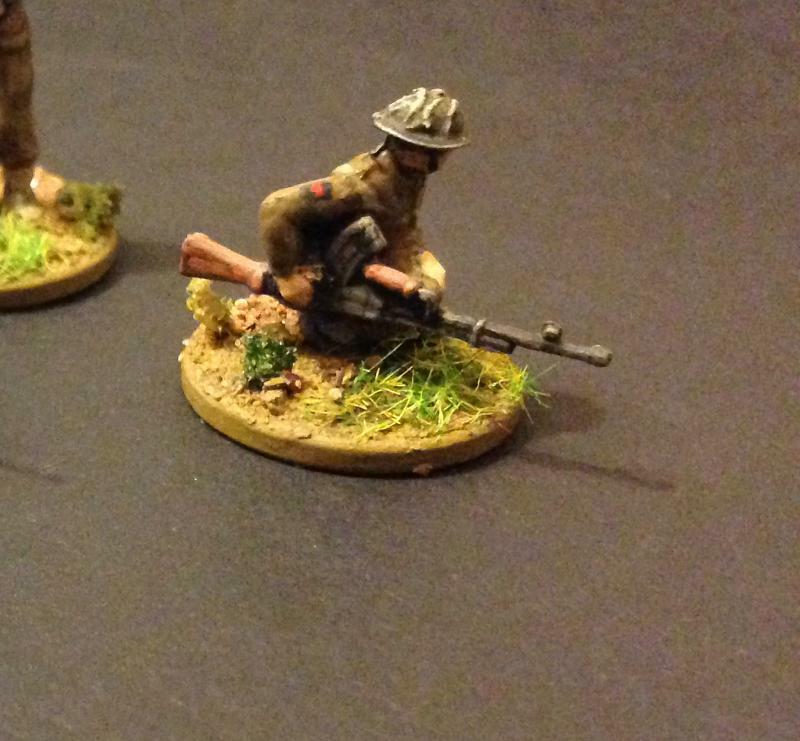 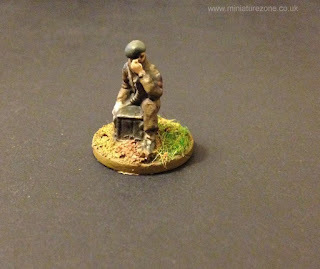 Beautifully sculpted 2nd version 1:76 scale Airix British Commandos. The sculptor, Ron Cameron, was an artist who was able to capture the human form perfectly, decades before before computer assisted design ever existed. The Bren gunner on the far right wearing a helmet is from the Airfix 2nd version 1:76 scale British infantry set. 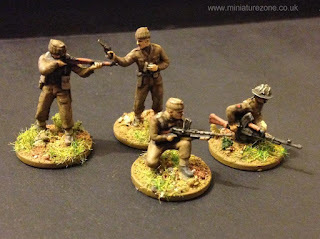 Below, from left to right, an Airfix 2nd version British infantry stretcher-bearer, 2nd from the left one of the new Airfix British infantry figures with a commando head, and the two figures in berets are old smallscale Hong Kong copies (quite bad copies I should add) of the Airfix 1/32 scale British paras, with their smocks painted to try and represent leather jerkins.